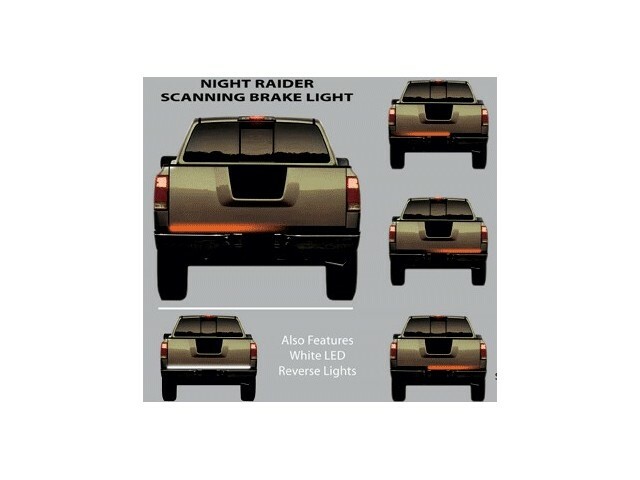 Night Raider Scanning LED Tailgate Bars - Night Raider Scanning LED Tailgate Bar 36"
Home > Categories > Lighting: Headlights, Fog Lights, Tail Lights, Replacement Bulbs > Plasmaglow Neon and LED Car Lights > Plasmaglow Truck & SUV Accessories & Lighting > Night Raider Scanning LED Tailgate Bars > Night Raider Scanning LED Tailgate Bar 36"
Product Reviews for Night Raider Scanning LED Tailgate Bar 36"
The part number for this Scanning LED Tailgate Light Bar is 10590. 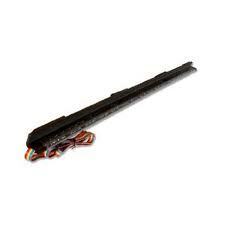 It is 36" Long. 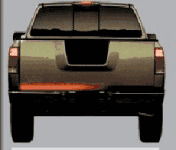 This Trailer Hitch Adapter 4-Way Splitter is just what you need if you are installing aftermarket lighting and don't want to have to unplug it every time you need to hook up your trailer lights.